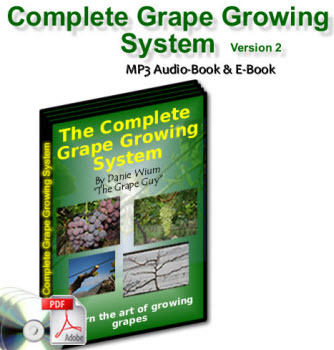 Most grape varieties set seed profusely, and breeding grapes is theoretically a straightforward process. Nevertheless, to produce a wine grape superior to the Cabernet Sauvignon of Bordeaux, or the Pinot Noir of Burgundy, is possibly the most difficult plant breeding task in the world. Undoubtedly, much of the quality of wine depends on post-harvest processes such as fermenting, bottling, and storage. But it is impossible to produce a good wine from bad grapes. And it is equally impossible to envisage wines superior to the best clarets and Burgundies. The only remotely realistic possibility would be to replace Cabernet Sauvignon or Pinot Noir with new varieties of equal quality, but with high levels of horizontal resistance to their various new-encounter parasites, so that the need for chemical pesticides is reduced or eliminated. But the difficulties are enormous. The chances of breeding a new white wine grape may be slightly better, but only slightly. The chances of breeding a new table grape are better yet, but are still remote. There are, after all, many excellent varieties of table grapes, and it will be difficult to compete with existing varieties. Once again, the most realistic objective would be to produce new varieties with equal fruit quality but superior horizontal resistance. Another possibility in grape breeding is to produce a rootstock of pure Vitis vinifera that is highly resistant to Phylloxera and which does not depress the yield of grafted grapes. This possibility is within the scope of amateur plant breeding clubs.